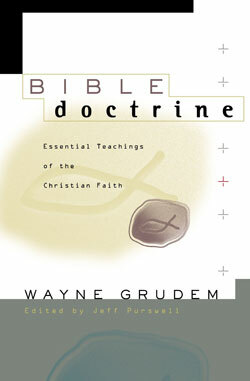 I’ve shared before my appreciation for Wayne Grudem, who is the author of more than twenty books and a research professor of theology and biblical studies at Phoenix Seminary. Several years ago, he and I both spoke at the Clarus Conference, and did a couple of panel discussions together. I really enjoyed my time with him. A few years ago Wayne shared that he had been diagnosed with Parkinson’s disease, and you can read his godly response to this news which he shared on Desiring God. I’ve long recommended Wayne’s books on theology, and cannot emphasize enough the importance of learning systematic theology. Based on conversations I’ve had, I fear that many believers in churches today understand very little Bible doctrine. I want to encourage you to discover the joy of learning. 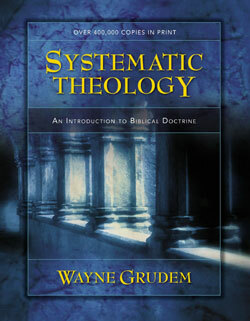 I recommend not only Wayne Grudem’s large Systematic Theology, but also his abridged Bible Doctrine. What’s Systematic Theology and Why Bother? It means searching the Bible to find all the verses pertaining to a given topic of study. Then, we put all the verses together to understand what God wants us to believe. “Systematic” means “carefully organized by topics.” Thus, it’s different from random theology or disorganized theology. Even if you haven’t written a systematic theology—or even if you don’t consider yourself a theologian—you’re still doing systematic theology in some sense. Everyone has beliefs about who God is, who Jesus is, what salvation is, and how we should live as Christians. We’re all synthesizing those beliefs together. So if you’re a Christian, you’re doing systematic theology, whether you’re aware of it or not. If you’re not aware of it, then your theology may not be very well organized, or it may not take into account verses from the whole Bible. There may be a verse here or there, or from certain parts of Scripture, but it’s not the entirety of what God reveals about a particular doctrine. That’s why it’s important to study systematic theology—to understand what God says and what the Bible says. We should imitate the psalmist, who prays, “Open my eyes, that I may behold wondrous things out of your law” (Ps. 119:18). Both Peter and James say God resists the proud and gives grace to the humble. Of those two categories of people, I think we all want to be among those to whom God gives grace. We must study systematic theology with humility and seek peace with others. Contradictions aren’t acceptable in the study of systematic theology, since there aren’t any contradictions in the Bible. Psalm 119:160 says “the sum of your words is truth.” The sum—when you put all God’s words together. There are many times we need to acknowledge mystery, paradox, and things we can’t fully understand. But that’s different from saying there’s a contradiction. God never asks us to believe a contradiction. 4. With help from others. I have learned much about theology through conversations with others—in the library, in the hallway, or in the seminary lunchroom when talking with other students. Seek help from others as you study. We use help from others when we read books on theology, since God has gifted the church with teachers (1 Cor. 12:28). We can learn about him from them. 5. With rejoicing and praise. There should be joy in our hearts as we study these topics, and it should result in praise to our King. Psalm 139:17 says, “How precious to me are your thoughts, O God. How vast is the sum of them.” The psalmist is overwhelmed with joy and praise for what God has revealed about himself and his deeds. This should be our response as well. The Bible speaks of doctrine that accords with godliness. For example, Paul encourages the Ephesian Christians to grow up into Christ so they won’t be tossed by every wind of doctrine, but will have stability and grow into maturity (Eph. 4:14). Studying systematic theology is important. We should do it with intentionality and purpose. This post originally appeared in its entirety on The Gospel Coalition. Over nearly four decades in my church (a church that has always taught and emphasized God’s Word), I’ve seen a noticeable, even startling, reduction in the average person’s grasp of biblical truth. What's Encouraging and Discouraging About the Evangelical Church in America Today? In this 8-1/2 minute video from last year's Clarus Conference, my friend Wayne Grudem and I share about what is encouraging and what is discouraging about the American church. Randy Alcorn and Wayne Grudem discuss a variety of topics in this two part panel discussion at the 2010 Clarus Conference. Listen to the panel in two parts or watch each Q&A from the panel in seperate video clips.